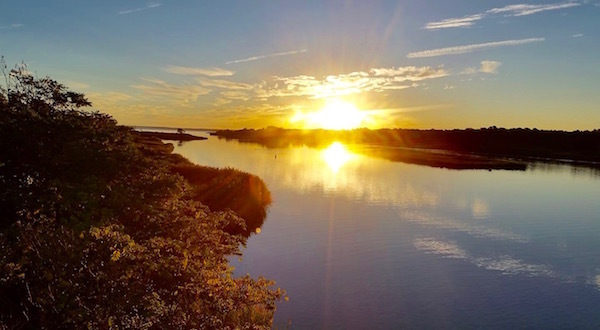 The five towns that comprise the Peconic Bay Region have a unique symbiosis that is a direct result of their geographic isolation and dependance on one another, environmentally, culturally and economically. New York State has now recognized the East End as a New York State Heritage Area, a designation pushed for by State Assemblyman Fred Thiele and State Senator Ken LaValle, who announced Friday, Dec. 14 that Governor Andrew Cuomo has signed their bill proposing the heritage area into law. The Peconic Bay Region Heritage Area includes Riverhead, Southampton, Southold, East Hampton and Shelter Island towns. State Heritage Areas give local communities the opportunity to create education and outreach programs within schools and for the public, which have included classes, historical exhibits, celebrations and festivals in other regions. These programs have been shown to result in a significant boost in tourism, which stimulates the local economy and contributes to economic development goals. State lawmakers also believe this could help create year-round appeal for a largely seasonal tourism industry. The Heritage Area Program is a cooperative effort between state and local governments, as well as nongovernmental organizations, the private sector, and grassroots involvement in each participating community. Economic Revitalization for sustainable communities. Each Heritage Area represents one or more significant themes of New York State’s history such as “Labor & Industry,” “Immigration & Migration,” “Defense,” “Natural Environment,” and “Reform Movements,” which both highlight and enhance the unique attributes of each local community. According to the Program, this allows the community itself to be the “park,” dedicated to the preservation of its unique cultural heritage through programs such as ethnic festivals, waterfront walks, lively theater, provocative exhibits, and neighborhood walking tours. The Heritage Area program consists of a state and local partnership, this allows access to substantial state funding and grant opportunities to promote the preservation, restoration, and enhancement of the resources that make each Heritage Area unique and essential. Grants are awarded to local projects through the New York State Office of Parks, Recreation and Historical Preservation and through the Environmental Protection Fund. This year, there was $19.5 million available to municipalities and not-for-profits for projects that contribute to the acquisition, planning, development, and improvement of parks, historic properties and Heritage Areas. More information on the New York State Heritage Area program can be found here. We really need this designation to assist us especially in the area of Economic Revitalization for sustainable communities. Great work, Fred Thiele!